Bangkok (VNA) – A royal decree on Thailand’s general election was issued on January 23, which will be followed by an announcement of the election date. The decree, published in the Royal Gazette, called for a general election of members of parliament and gives the kingdom’s Election Commission five days to announce when it will hold the highly anticipated poll. 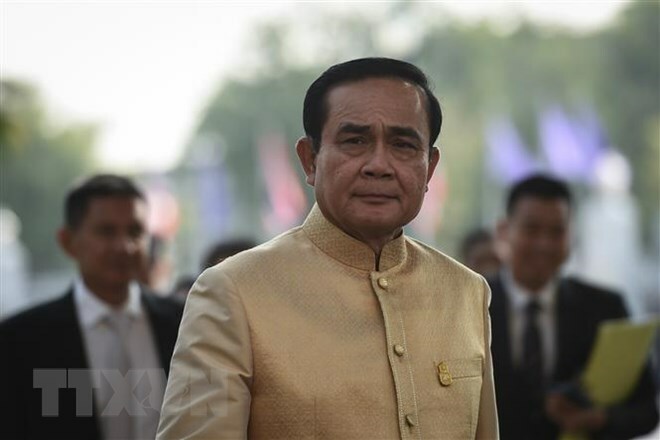 The same day, Thai media quoted Prime Minister Prayut Chan-o-cha as saying that he will join a party which supports the current administration’s policies. Earlier, the pro-government party Phalang Pracharath (PPRP) said that General Prayut Chan-o-cha is one of the party’s leading PM candidates at parliament after the election. However, the Thai PM said that the PPRP has yet to offer him an invitation to join it. The election date is widely expected to fall on March 24, marking a one-month delay from the previously scheduled date of February 24. According to the plan announced by Deputy Prime Minister Wissanu Kreagram in November 2018, the election is scheduled to take place on February 24, 2019 with 350 constituencies, while its results are to be made public two months later. On April 27, a list of 250 elected parliament members will be submitted to the royal family for approval. On May 8, the new parliament will begin operations and select its Speakers of the Senate and House of Representatives, as well as the new PM.